Instead of punishing all pet lovers - why can't they legalize and regularize pet breeding. Right now it is done illegally and the poor animals are exploited. The mothers are made to give birth every 6 months for 14 years at a stretch and are reduced to machines and then let loose on the street - and not knowing how to fend for themselves - die a miserable death. BBMP's intention - I appreciate and am grateful - is right. But their law will just be like the trash clogging the storm water drains - is of no use and will cause more problems for everyone. This law is not going to curb pet breeders. Now they will give you an additional service. Apart from selling a puppy out of their puppy mill - for an additional charge will get you a license. More money for breeders, the officials. Ka-Ching. This reminds me of how the IT Department went after Angel Investments in Startups. Startups get investment on the valuation suggested by the founders ( ahemm.. on a huge discount ). This is not an income to the startup. Even a 3rd grader knows this. One wily politician ( no names here - dont have energy to fight lawsuits ) - used this route to park his ill-gotten money as investment in fictitious companies. The IT Department was asked to go after such investments. Now that everything is automated - the IT Department officials did a Select-All, Mail Merge and sent threatening letters to all Startups who raised Angel Investment - to treat this investment as income - and so you should pay tax. Some - like us - have used up all the money in building the business. Some had shut down and the founders had moved on. All the Startup founders collectively face palmed, panicked and had one more reason to lose sleep upon. Startups now engaged their Auditors - who relished such a battle - replies were sent, demands to appear on such and such date was made, personal appearances were made on behalf of the startup by the auditor ( everything billed to the Startup once again - with GST mind you ). And the wily politician? Oh they have the means and resources to tackle such notices. Being the victim of 2 such laws ( Pet Law and Angel Tax ) - cannot help laughing at the situation. So what will happen to Sufi? I am not too worried. 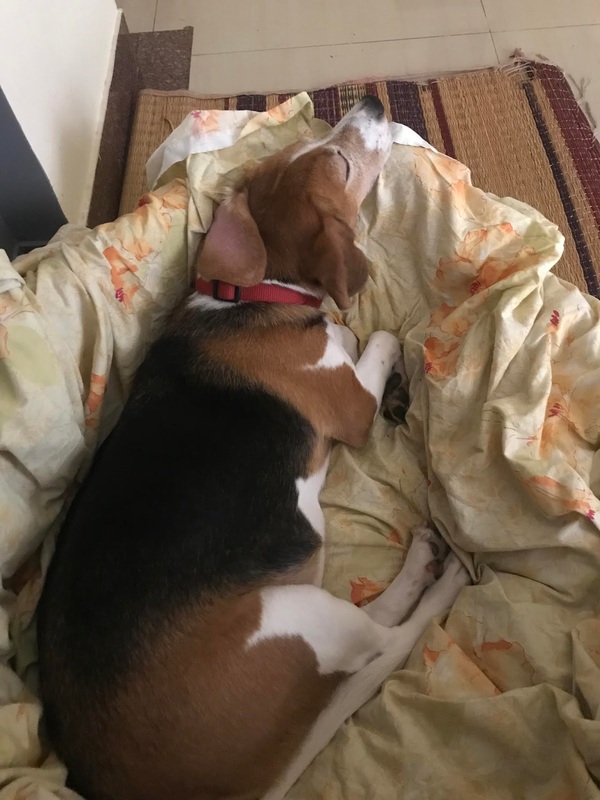 Sufi is backed by Beagle Brigade. The group which rescued such Beagles from the clutches of Laboratory which used Animals for testing cosmetic products. I am confident they will get Beagle included in the list. My real worry is - why is BBMP burning its midnight oil on such Pet laws. Monsoon is charging up as we speak and Bangalore is going to become one big messy pool. The road to our apartment complex has been dug up on the left for GAIL gas pipe line and a drainage on right. Not yet relaid. It is a muddy mess with vehicles getting stuck. When it rains what will happen?